While the New York Department of Financial Services (NYDFS) successfully monopolized media attention last week by assembling a cast of bitcoin A-listers at its regulatory hearing, it wasn’t the only government agency to explore virtual currencies in a way that could impact the global community. On 29th January, the US Postal Service (USPS) Office of Inspector General (OIG) held a webinar on virtual currency attended by representatives from the Universal Postal Union (UPU) and World Bank that sought to “explore the possibility” of a “potential role” for bitcoin at post offices around the globe. Topics included whether post offices could leverage their physical locations to act as in-person bitcoin exchanges and if they could color coins as a way to underpin bitcoin’s value and increase adoption. Darrell Duane, a Washington, DC-based bitcoin consultant who was initially approached by the USPS and later helped promote the event, said that though much of the material was educational, there were some suggestions that, if adopted, could have big implications for the bitcoin community. “There were suggestions like if someone made ‘postcoin’, ‘What would that be?’ ‘How could that help?’ If we were to employ the technology to support post office operations around the world, internationally, how could cryptocurrency help post offices do their business?” Duane said. Experts from the Federal Reserve Bank of Chicago, Booz Allen Hamilton, George Mason University and the Bitcoin Foundation were on hand to speak about bitcoin, its use cases and its implications for the wider economy as part of the two-and-a-half-hour meeting. 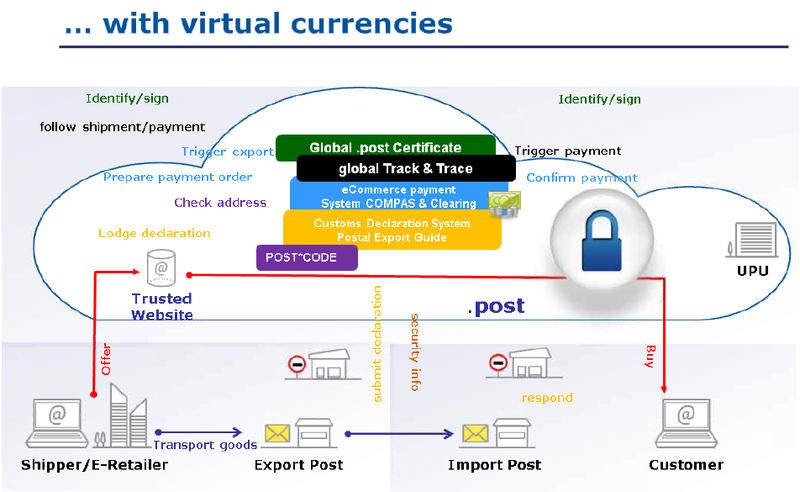 With much of the first part of the day’s discussion devoted to the introductory aspects of bitcoin, the latter half more directly addressed how virtual currency could revolutionize post office operations. Christian Jaag, managing partner at Swiss Economics, began this section of the event by naming certain characteristics of bitcoin that he believed would be of a particular interest to the discussion: These included bitcoin’s algorithmic money creation, decentralized ledger, peer-to-peer nature and sometimes volatile exchange rate. “There’s a great challenge to postal operators lately, postal volumes are decreasing, people do not go to post offices as often as they used to. However, postal operators have to maintain their networks, they have to look for new ways to fill their offices up and one potential contact point is the exchange of virtual currencies to other currencies,” Jaag said. Jaag suggested that post offices would be able to use their existing money transmitter licenses to facilitate these exchanges, gain a greater level of involvement in e-commerce and attract increased revenue. Jaag went on to discuss how colored bitcoins could benefit post offices, theorizing that, with their global network and strong reputation, postal providers could mark existing bitcoins as a way to provide a safeguard against wealth loss and incentivize virtual currency adoption. “You can take one bitcoin and declare it to represent your monetary base of postcoin, and you can then issue fractions of bitcoins freely and back it by something else,” Jaag stated. Jaag said this would allow a postcoin to become a full reserve currency used by postal operators. Post offices would, in turn, be able to make transactions with its coins reversible, as well as facilitate the trade of bitcoin and other local currencies. “There’s no need for institution, but there is a role for institution,” Jaag said in summary. Following Jaag, José Anson, an economist at UPU International Bureau, spoke about bitcoin’s potential to act as a “form of trade facilitation”, bringing online transactions under the supervision of post offices and allowing for a synchronization of activities through the protocol’s ability to validate contracts. “There is a possibility of synchronizing a number of activities that could foster much more trust in international trade and international financial exchanges,” Anson said. Under this system, international e-commerce transactions would be “simplified” by a merging of activities that would find postal services verifying the security of deliveries, confirming transactions and facilitating more cost-effective payments between parties. “It goes beyond payment and financial, it’s a matter of trade inclusion for many small entrepreneurs around the world and integrating all these parties into the world trading system,” Anson stated. While interesting to those in the virtual currency space, the news notably comes roughly a week after the OIG published a white paper addressing how it could better extend its services to those who don’t have access to traditional bank accounts and financial services. That paper explored whether the USPS would benefit from issuing prepaid cards, payday loans, international money transfers and mobile banking options, among other programs. Researchers cited the fact that 90% of underbanked US consumers now have a mobile phone as a compelling reason for mobile banking’s consideration. “A suite of non-bank financial services offered through the Postal Service – available online, through mobile devices and at Post Offices in every community – could greatly benefit families everywhere. Postal financial services could help American families to save money through avoiding exorbitant fees and interest,” the report read. 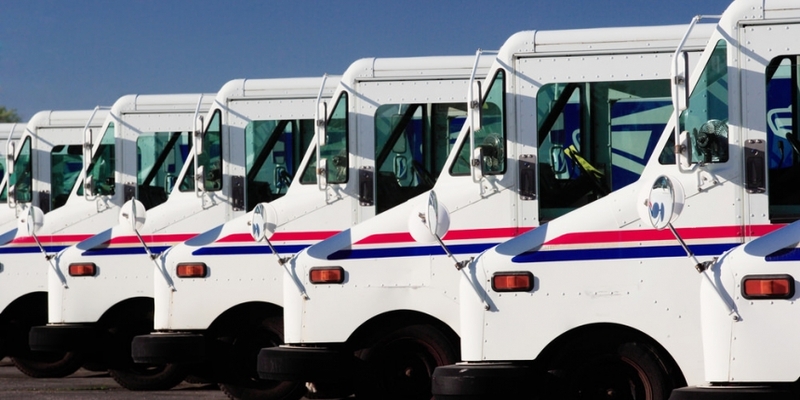 The USPS has been a focal point of public debate in the US for years, as the agency now costs the federal government $15.9bn annually to operate a time when tensions over the growing federal deficit continue to dominate political discourse. Further driving the need to explore additional revenue streams is the erosion of the USPS’ core business as a result of rising Internet use. Letter writing has declined by 25% since 2010, while the majority – 56% of bills – are now paid electronically. However, any further action on virtual currency is likely to take time. According to one inside source, speaking to Bloomberg, the implementation of virtual currency services could be “years” away for the USPS.